Christmas is coming, and nothing signifies the approach of Christmas more than the glow of seasonal street lights. Here’s our quick guide to London’s 2018 festive lights in some of the capital’s biggest shopping destinations including Oxford Street, Covent Garden and Carnaby. The capital’s busiest shopping street was lit up in array of dazzling colours at the event at 6pm on 6th November, Tuesday evening. 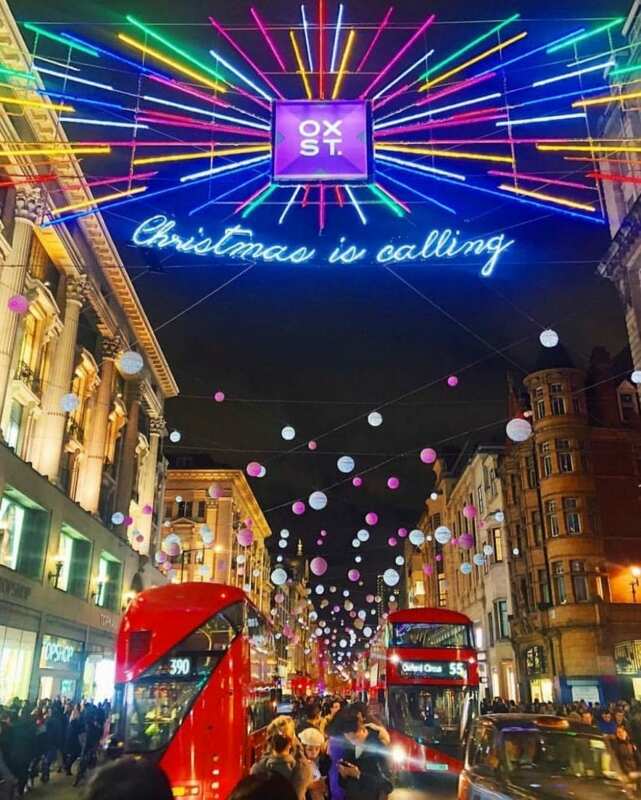 The must-see Oxford Street Christmas lights include new purple baubles among the 1,178 decorations covering the famous shopping street. The cobbled streets of Covent Garden have transformed into a winter wonderland for the festive period. 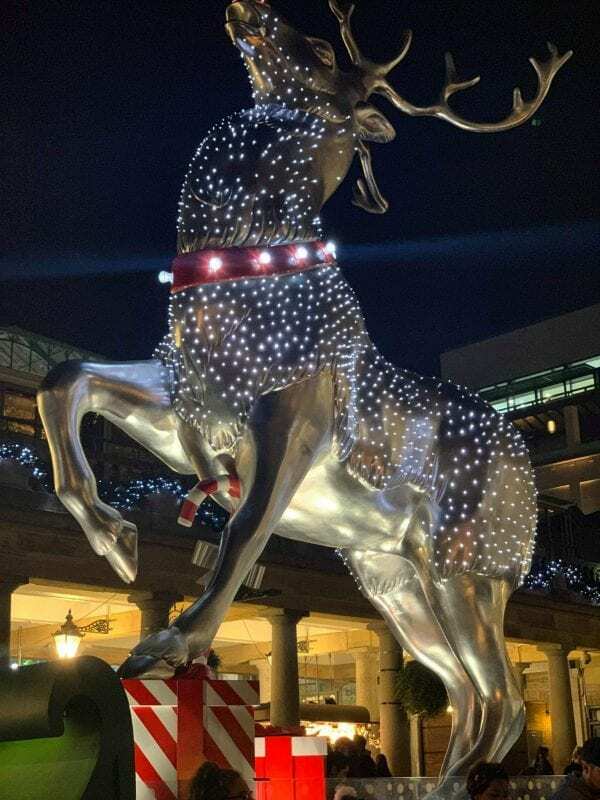 Marvel at mistletoe chandeliers, a magnificent reindeer statue and a huge Christmas tree, alongside the 100,000 twinkling Covent Garden Christmas lights that illuminate the 19th-century piazza. Is this the real life? Is this just fantasy? 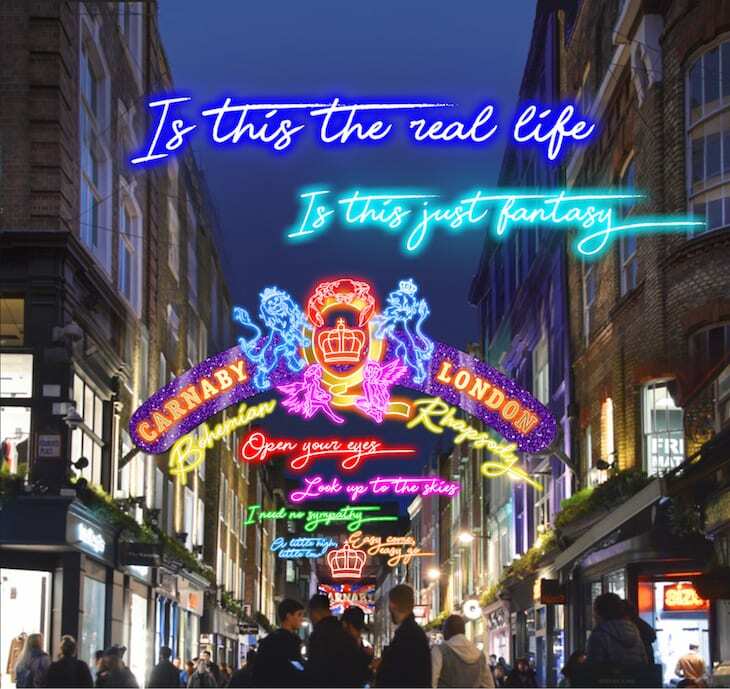 Carnaby Christmas is on from 8 November 2018, the lyrics to Queen’s Bohemian Rhapsody are already illuminated above the area. 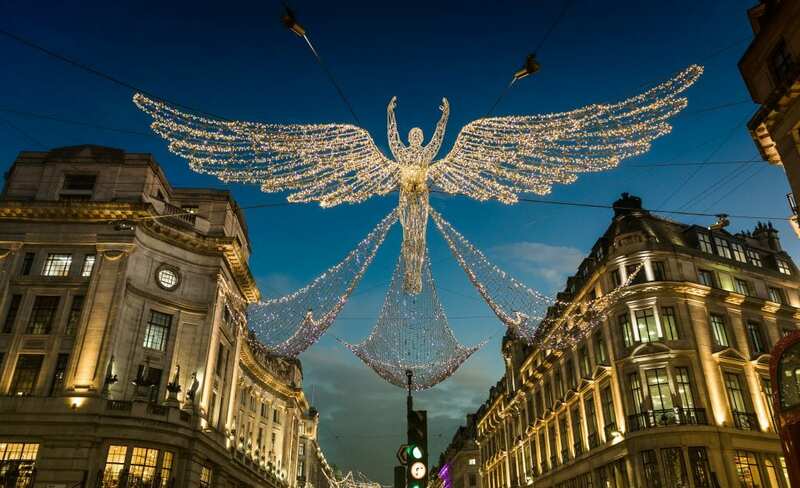 Those angels will be gracing the skies above Regent Street’s glorious curves from 15 November. The street will be traffic-free for the evening, with events going on in nearby shops. Find out more about the Regent Street Christmas lights. Brighten up your winter evenings with a visit to Chiswick House and Gardens, where a brand new night walk and light display is transforming the historic property and its grounds. A series of modern light installations will illuminate the 18th century gardens and architecture, giving visitors the chance to enjoy the Gardens in a different light, after dark. Walk the trail that weaves through the grounds and see Chiswick House brought to life with a projected light show set to a curated soundtrack. 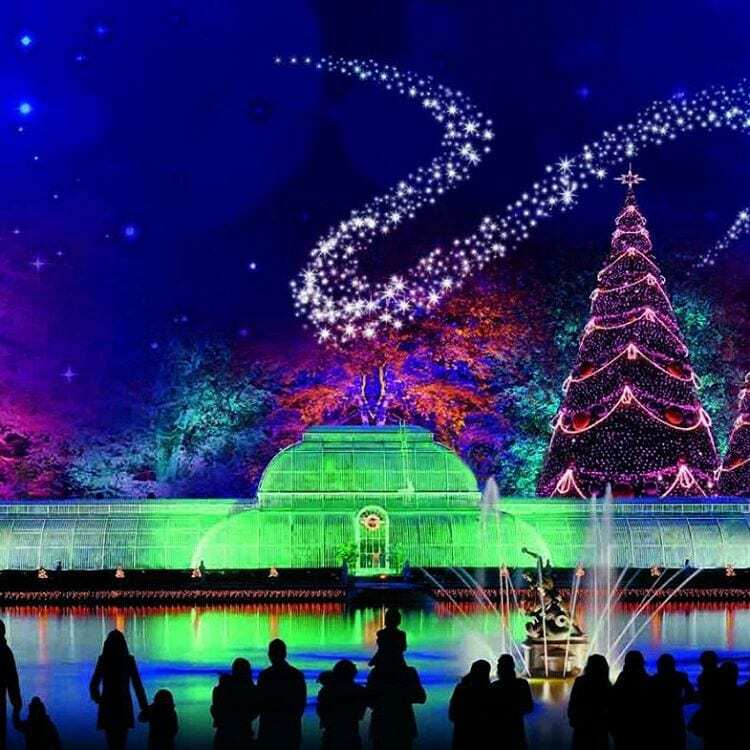 See Kew Gardens light up for an unforgettable after-dark festive trail of lights. Now in its sixth year, the 2018 winter trail will be bigger than ever before, with over a million twinkling pea-lights and thousands of laser beams. Walk under welcoming arches into a world festooned with seasonal cheer and wander beneath unique tree canopies drenched in Christmas colour.